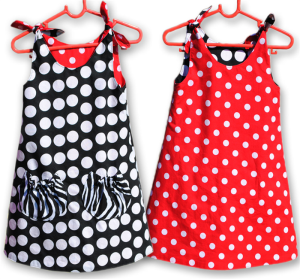 Reversible Frock Cutting and Sewing is very easy to learn..Try this easy to sew Dress…No Zippers and No Buttons…It is Reversible…Two looks in one! 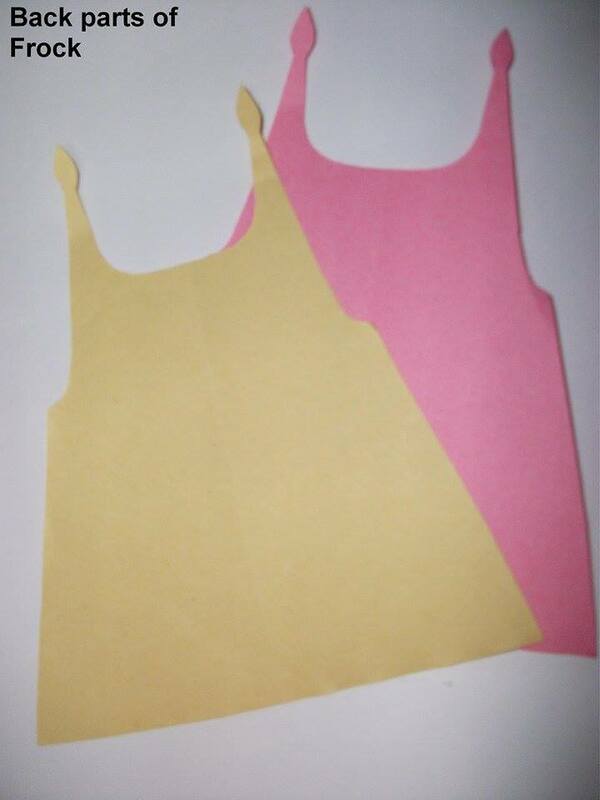 Two colour fabrics. ¼ meter each and another color fabric for Bias strip. 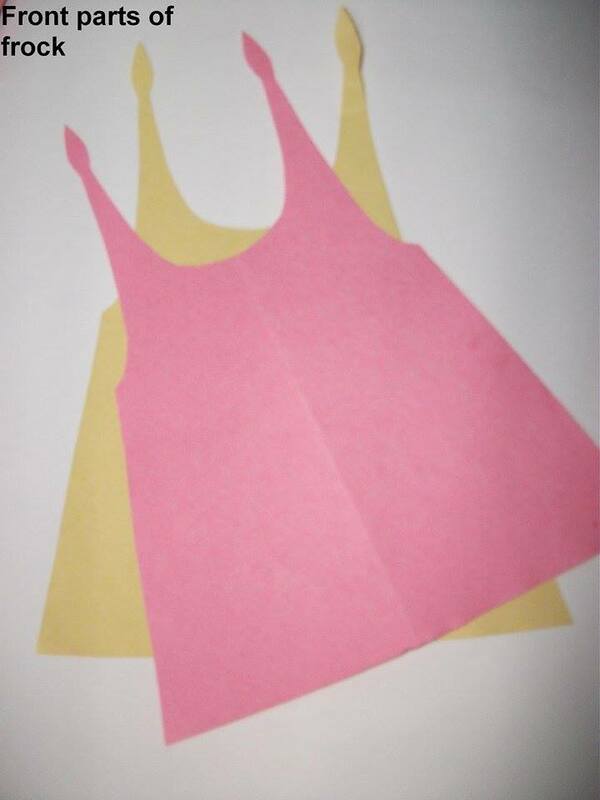 (4-4’) = 1.5cms for shaping. Join (1-4’) hemline. Join (3-4’) side seam. X is the mid point of (5-6). (X-X’) = 0.5cm inside. 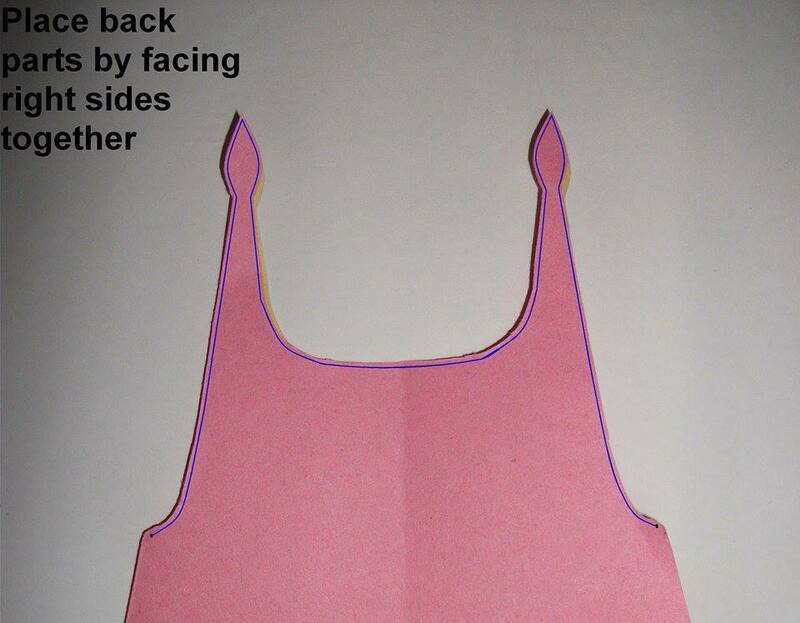 Shape 5’-X -3 for back armhole curve. 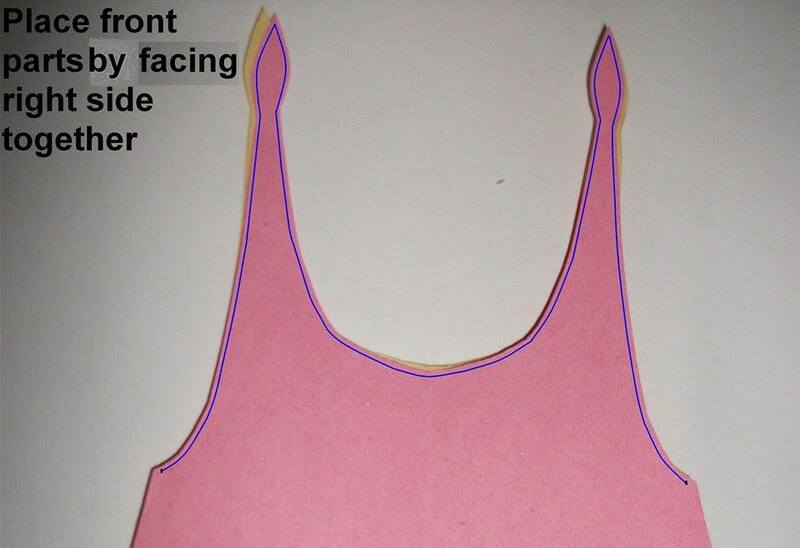 Shape 5’-X’-3 for Front armhole curve. (0-8) = Back neck depth = 2.5cms. Shape (8-7’) for back neck curve. 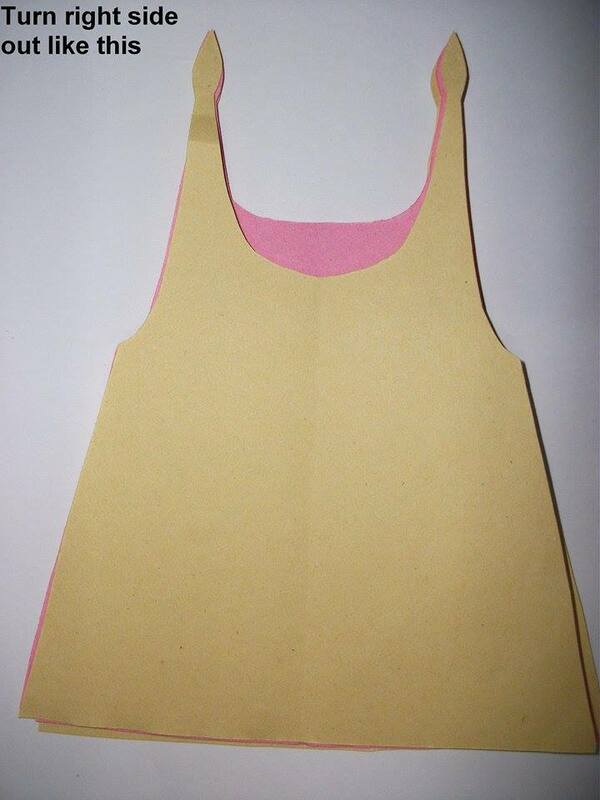 (0-9) = Front neck depth = 1/12 chest + 2.5cms =6.75cms. Shape (9-7’) for Front neck curve. 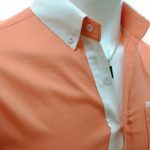 Seam allowance should be 1 cm for all sides. Press with iron after each fold. 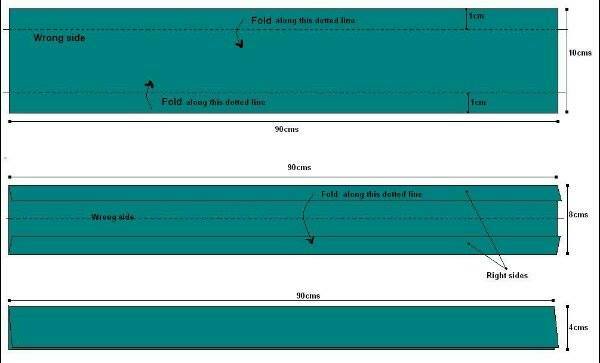 Place Back parts by facing right sides together and sew along the blue line as mentioned in this picture. 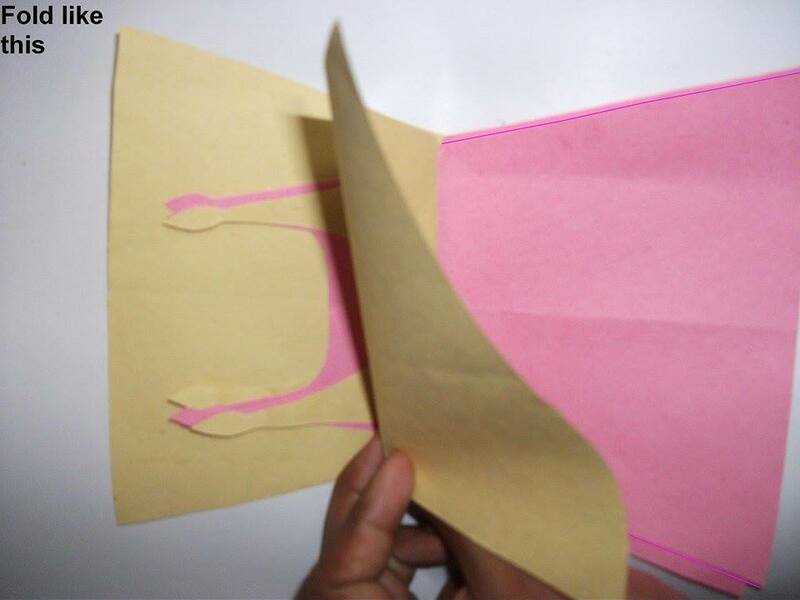 Leave 1cm (side seam) each side. After sewing turn right side out &amp; Iron. 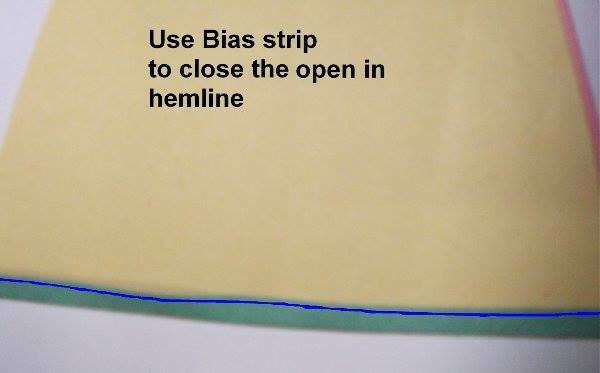 Now we r going to do the Final step…Finishing hemline with Bias strips (it should be another color plain material or printed) sew along the blue line. 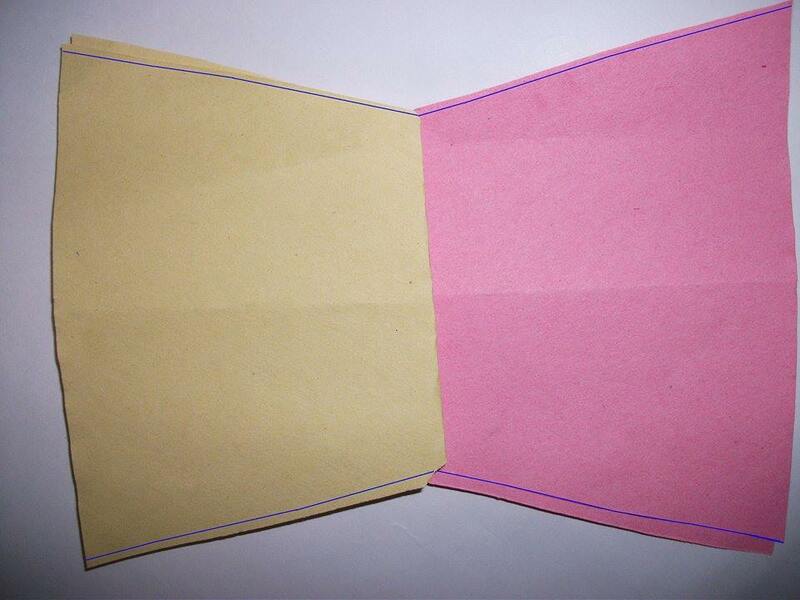 I use another color plain material Bias strip here. Welcome..have great time with sewing.. Thanks & good luck.. Thanks for your visit… Nikhar mehrotra..
Plz send the ladies shirt drafting….